Ajmera Herbals has a state of art, ISO 9001: 2008 & GMP Certified Ayurvedic & Herbal products manufacturing unit. AHL focusses on total quality in all its manufacturing processes. They take additional interest in producing innovative & research oriented products covering the entire therapeutic spectrum. AHL boasts of a modern production facility of over 20,000 sq ft. Adhering strictly to the Ayurvedic classical literature & principles of basic life sciences, AHL is a step ahead in the conversion of the best available crude herbs & extracts to result oriented finished products. AHL is one of our key manufacturing associates. 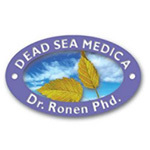 Dead Sea Medica is the company founded by an agricultural biotechnologist using the minerals from Dead Sea and the vegetable plant extracts in the region. Many products were formulated and produced for application in human healthcare & agriculture which became very popular in USA, Europe, Japan & Russia. The R&D of DSM is almost akin to the R&D of EBNL except the source of the raw materials. EBNL sources from the foothills of Himalayas while DSM sources from Dead Sea region. DSM & EBNL are strong techno-commercial collaborators for over a decade. Dr. Smita’s Herbal laboratories produces zero defect products with strict adherence to Total Quality Management (TQM). Their facility is first of its kind where a qualified Ayurvedic doctor heads the production. DSL is a long standing manufacturing associate of EBNL. It is at DSL where EBNL conducts lab scale experimentations in R&D and also regularly produces the multi-purpose CalmCream & several other herbal creams. Schon Pharmaceuticals is a public limited company with more than 3 decades into pharmaceutical manufacturing and product development. They have a state-of-art Formulations Producing Unit and a well equipped Quality Control & Assurance department. 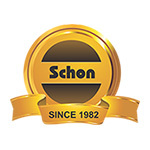 Schon Pharmaceuticals is the oldest manufacturing associate of EBNL. MagiCream was first manufactured at Schon’s facilities. Vital Nutraceuticals is an R&D driven nutraceutical manufacturing company with a robust infrastructure and ample resources. Their state-of-the-art equipment facilitates hazard-free processing of quality products and their well-equipped storage units fulfill the temperature criteria for products & ingredients. Vital Nutraceuticals works in close techno-commercial collaboration with EBNL for nutraceutical and food supplements.